All the KC Compact pictures belongs to Juanvm. 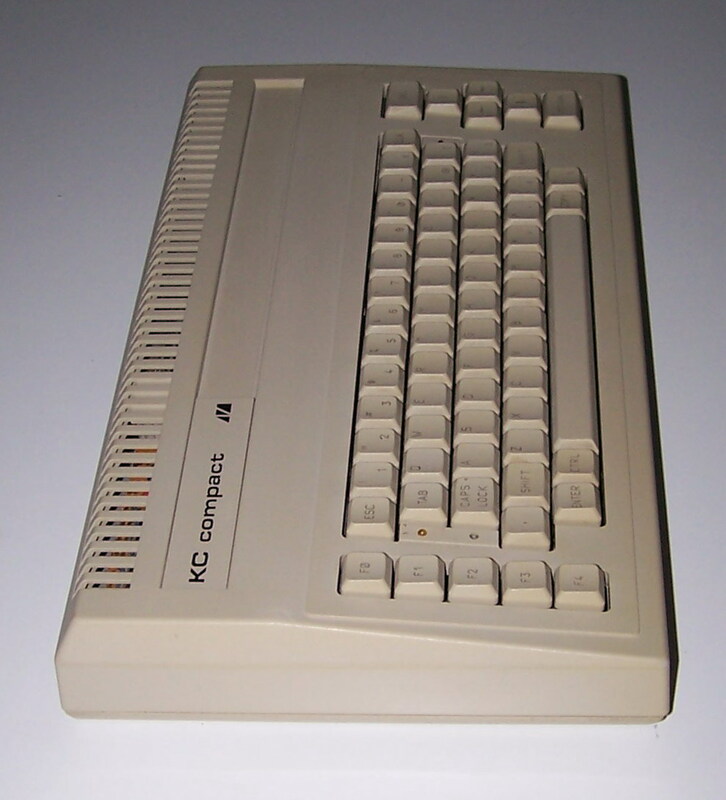 Note The KC Compact is a clone of the Amstrad CPC series, made in East Germany by VEB Mikroelektronik. It was made in 1989 to celebrate 40 years of the GDR (German Democratic Republic). Soon after the Berlin wall came down, east and west merged, and production stopped. They only was produced about 5 months. 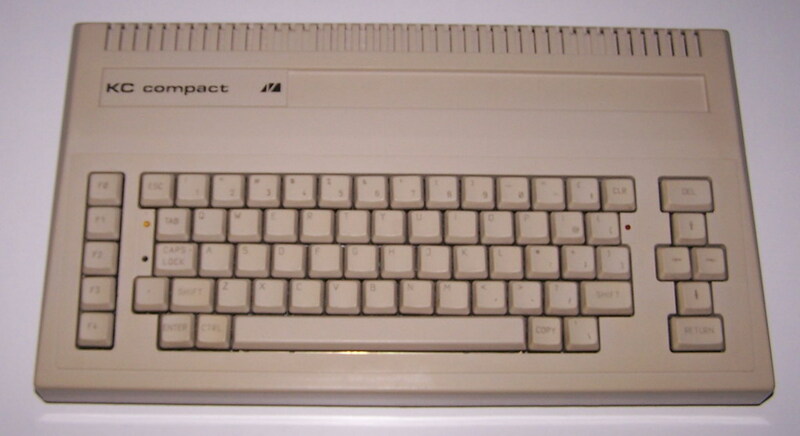 The system contains a hacked Amstrad CPC OS and the Locomotive BASIC. 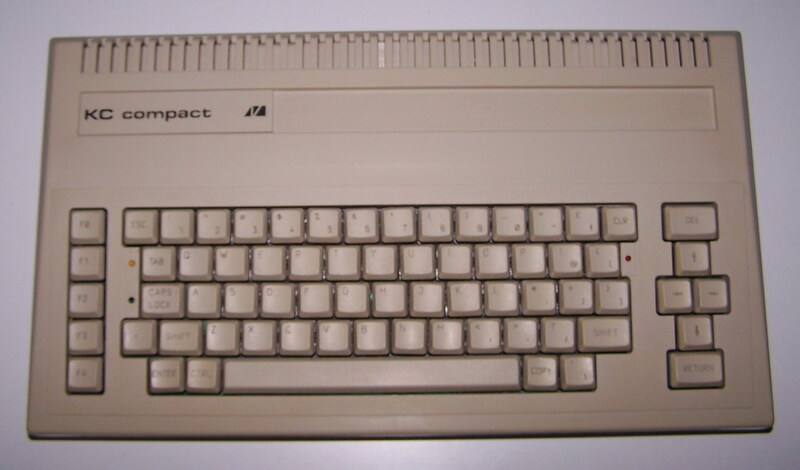 Unlike the CPC, the KC Compact didn't come with a built in disc drive or cassette unit, and did not require a special monitor. The base unit can connect to a TV through a serial or scart lead. 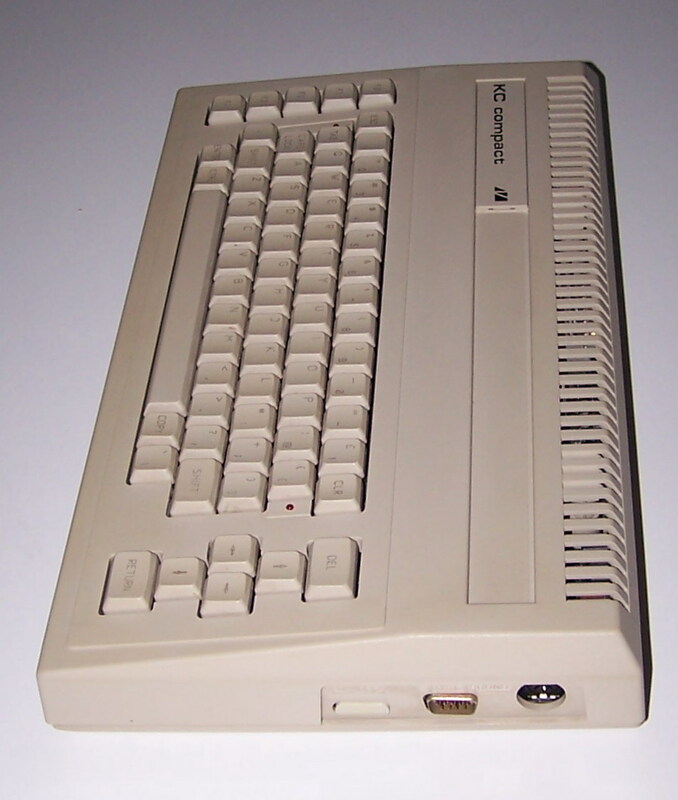 Hardware that was designed for the CPC systems should work on the KC Compact, however, since the KC Compact has a different expansion port layout, an adaptor must be made.